This empowering self-help book champions the kind of self-doubting that mother Katherine Wintsch, CEO of The Mom Complex, calls 'Never-Enough,' the kind of mother whose guilt, desperation, and fear about not being or doing enough is overwhelming. 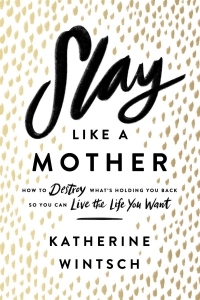 Based on more than a decade of research, Slay Like a Mother reveals the good, the bad, and the ugly behind the self-sabotaging battles within all mums. Brave, supportive and insightful, the stories and advice shared in this book will encourage women to live more confidently, enjoy the present, and slay like a mother. A revelatory, inspirational guide for mothers to crush their 'never enough' mentality and slay every day.